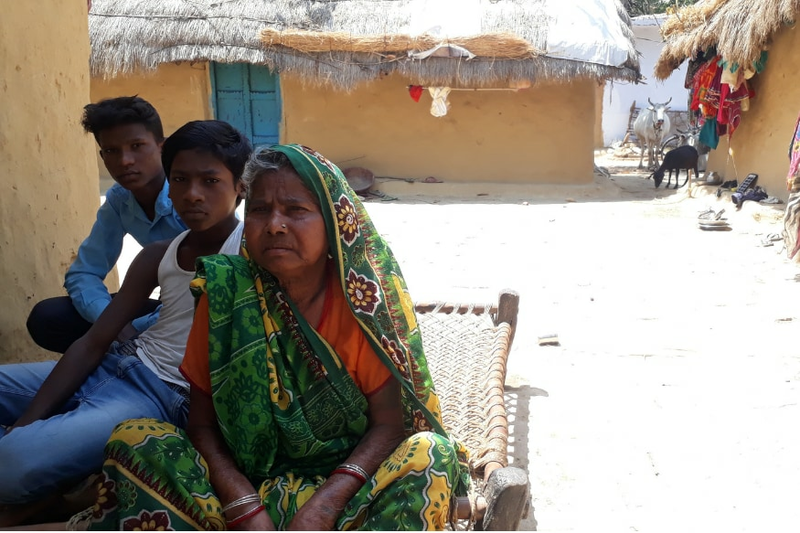 The family of Dashrath Manjhi, the man who once moved a mountain, now struggles under the insidious burden of poverty, unemployment and crop failure. Gaya: The temperature at Gehlaur is soaring. A scorching 40 degrees of oppressive heat wraps around the rocky, dusty landscape of this small village in Bihar, the home of the iconoclastic Dashrath Manjhi or as the legend has it, the Mountain Man. His daughter, Laungi Devi sits outside her rickety thatched mud house, fanning herself. There is no ceiling fan and the electricity here is anyway erratic. Roughly 90 kilometers away, in the politically crucial Scheduled Caste (SC) constituencies of Gaya and Jamui, the name of the Mountain Main reverberates across the swathes of people, as Prime Minister Narendra Modi invokes his name at an election rally. A man at the far end of life, bearing a chisel on one hand, a hammer on the other, and saddled with the grief of losing his wife, Manjhi spent 22 years digging through a rock face bare handed to breach a hill and carve a road in her memory. However, the family of the man who once moved a mountain, now struggles under the insidious burden of poverty, unemployment and crop failure. The air in Gehlaur smells of pestilence. Bearing the brunt of insufficient rains and meagre irrigation facilities, the paddy fields have wilted. The lone hand pump installed last year stopped working and nobody in the village knows how to repair it. Laungi Devi may not know her age, but she definitely doesn’t consider herself young enough to fetch water from a well, located five kilometers away. Every man in her family has left the area due to lack of employment. Traditionally known as rat-catchers, Manjhi's family belongs to the Musahar community. Categorised as an SC group, the community features at the bottom of the caste hierarchy. The group, however, constitutes 5.3 per cent of the population of Gaya and Jamui cumulatively, making them an important vote bank. This makes the Musahars a commonplace catchphrase in the political jargon of leaders in the region, with their name invoked by several political parties to woo the community. 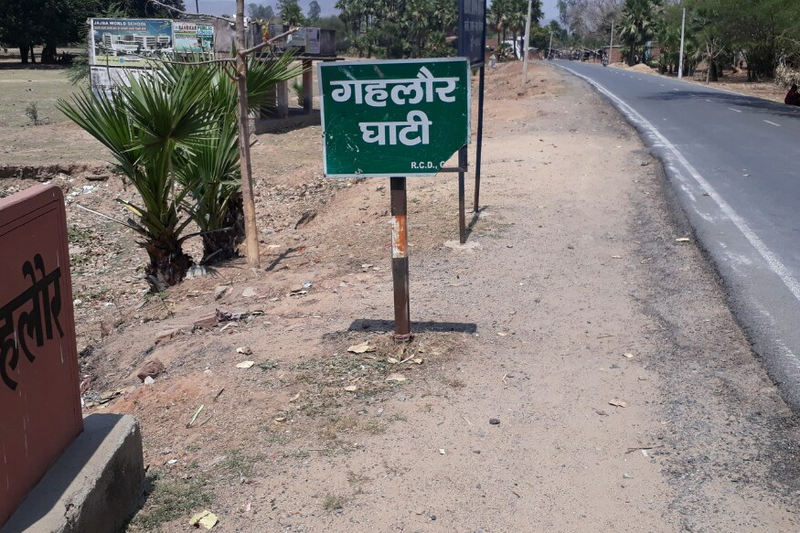 Before Modi, Chief Minister Nitish Kumar, in the build up to the upcoming general election, separated the Musahars from the Dalits for larger benefits, going as far as officially renaming Gehlaur as ‘Dashrath Nagar’. However, for Laungi Devi, these things hold no charm. She feels that politicians only visit them during the elections and mean no business. She was referring to the two Dashrath Manjhi's memorials built in Gehlaur. One, in front of the shack where the family lives, by former RJD member and Jan Adhikar Party (Loktantrik) leader Pappu Yadav and the second by Nitish Kumar. In 1960, Manjhi’s wife Phalguni Devi fell down while trudging up a narrow trail, carrying his lunch. With no connectivity in the area, she later lost her life due to not being able to reach the hospital on time. 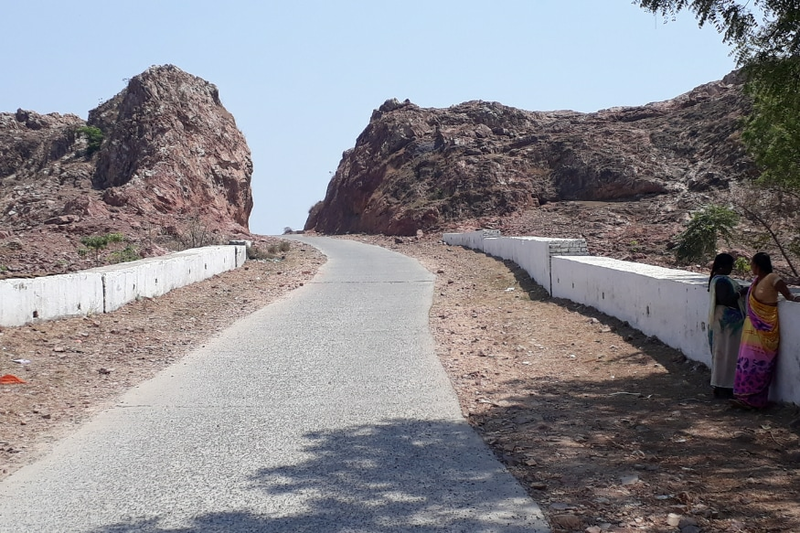 Wazirgunj, the nearest town to Gehlaur, lay just across the hill, but the villagers had to take a detour to reach there – up till Manjhi chiseled a 110 metre long road cutting through the hill. The NDA government later took the responsibility of developing the path, which is now neatly graveled. However, one hardly sees a young man treading on it, as most of them have left the village in search of jobs. Young women are either married in other villages or are confined to their houses, resigned to the fate of their domestic lives. Laungi Devi has three sons and just like everyone else, they too, shift to Chennai in search of jobs, leaving their families behind. They send a sum of Rs 5,000 every month for the family, which has 31 mouths to feed. "There are no jobs here. Not just in the neighbouring city of Gaya, men in the village find no employment in Patna," she says. The lack of employment opportunities coupled with prevailing inclement weather conditions has made matters worse. “There was no rain this year as well. There is going to be nothing to eat in the coming months. More men will leave the village,” a local says. The entire situation bears an all-too familiar pattern, where the lack of employment can be easily traced back to absence of education. Even though Nitish Kumar’s government had opened a school in the neighbourhood, there are hardly any teachers, and whenever there are, classes are rare. Devi's grandsons, Ram and Ajit are fourteen and fifteen years old, respectively. While schools in cities have fourteen-year-olds studying in class eight, these two are still in class five. This is because the school here has classes only up to this level. Studying further would mean that the children will need to walk approximately four kilometers to a school – where classes go up till eighth standard. Education after that is out of bounds for them. Ram and Ajit want to travel to Gaya to work after they complete their education till the eighth grade. Earning money for sustainability is their only plan. "I want to earn money so that my family stays well," says Ajit. However, he is not too keen on working in metro cities like his father. "My father returns only once in a year. I want to work somewhere nearby," he adds. With first phase of polling in the constituency just a week away, the residents of the villages are expecting political leaders to visit them. The contest this time, being even more interesting, considering both the candidates belong to their caste. The Grand Alliance candidate Jitam Ram Manjhi and NDA contestant Vijay Kumar Manjhi, both belong to the Musahar community. Dashrath’s family, however, is uncertain about their electoral preference. 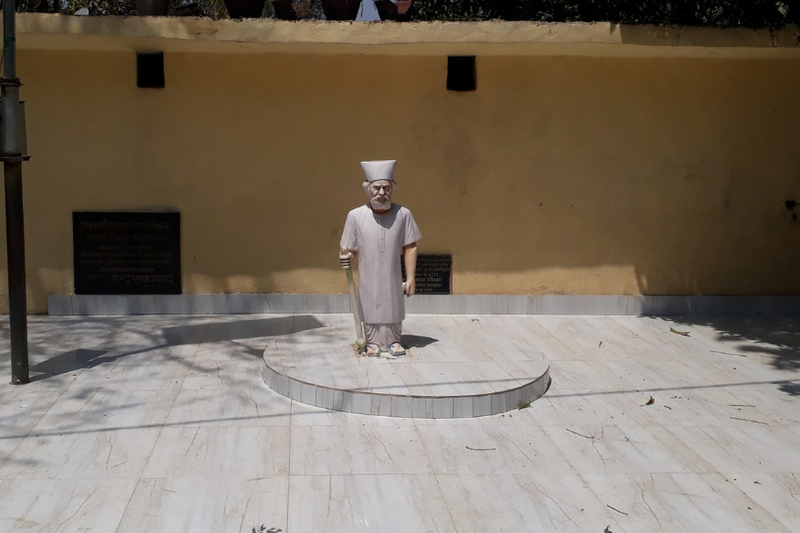 On one hand, they have seen Jitam Ram Manjhi work for the community and on the other, they know that Nitish Kumar respects the contributions of Dashrath Manjhi. After Dashrath's death in 2007, his son Bhagirath had received financial help from the state. He is also grateful for Nitish’s gesture of letting his father occupy the CM’s chair for five minutes, twelve years ago. However, there are complains that the village has against their chief minister. “The land where we live is forest land, we don’t own anything. The government promised small plots but not all have got them,” says Dashrath's son Bhagirath. In a contest which rules out the caste equation, it is going to be a battle of perceptions in the village of the Mountain Man.